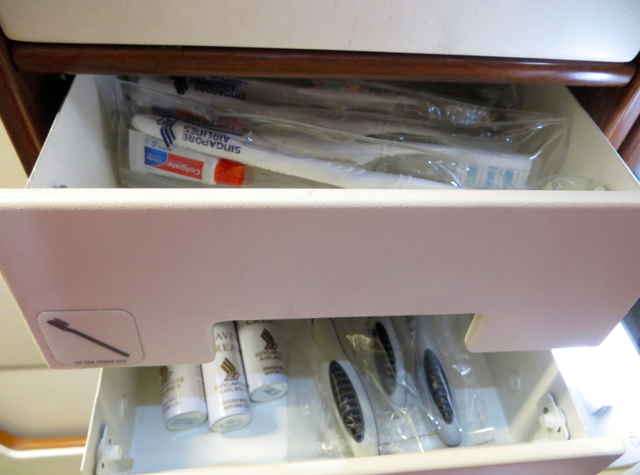 My third Singapore Suites flight was from Singapore to Hong Kong. 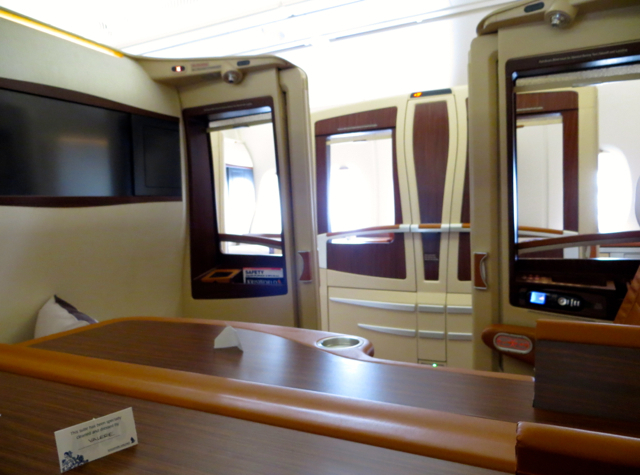 After visiting the Singapore Airlines Private Room, I made my way to the gate and was welcomed aboard. My new seat, Suite 3K, is in the first photo of the post. 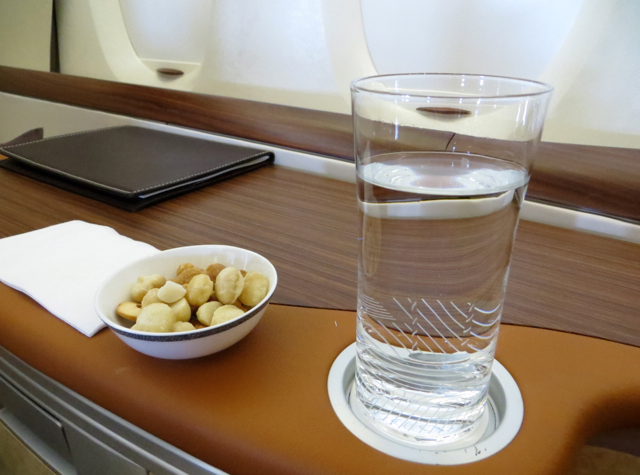 I was offered a pre-flight drink, and again chose water—so key to remain hydrated after so many hours of flying, to help mitigate against jetlag. 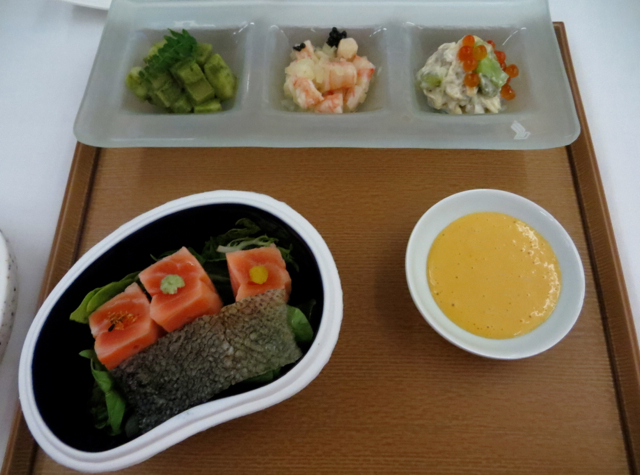 This was a morning flight, and since it was departing Singapore, I took advantage of the greater number of Book the Cook options out of Singapore’s hub to prebook the Japanese Kaiseki meal. Originally I wasn’t able to select this, as for some reason it wasn’t available in the online drop down. 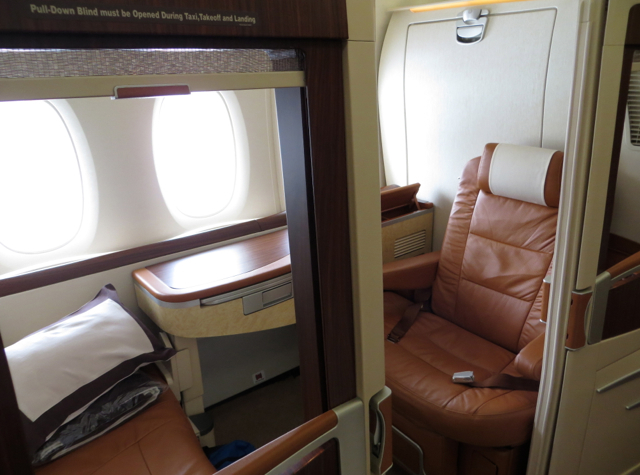 According to Singapore’s Web site, however, it was supposed to be available on “all flights over 2 hours” which Singapore to Hong Kong is, so I called Singapore Airlines to request it. 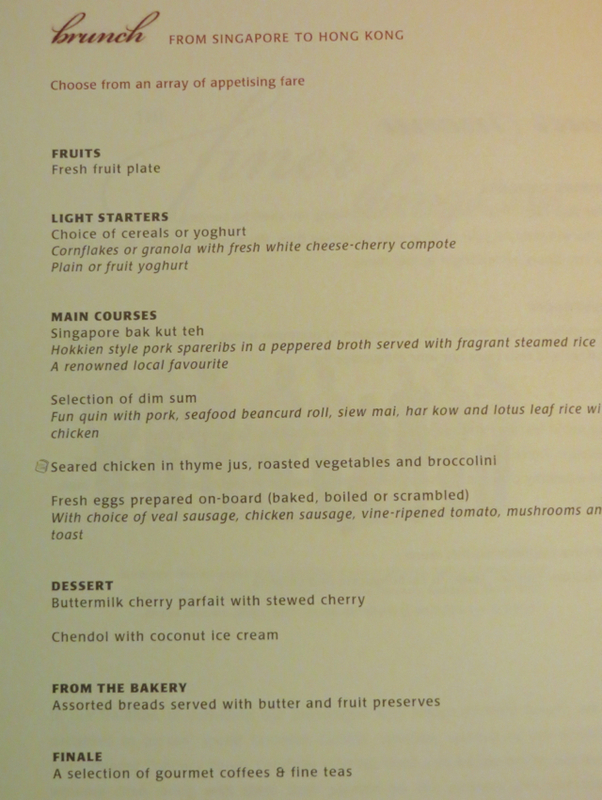 The representative I spoke with wasn’t able to select it either, but he was nice enough to actually put in the request for me to Singapore’s main catering office, and it was arranged for me. Before the meal was served, I decided to try to watch a movie, since there were a ton of selections and I rarely have time to watch films at home. There weren’t any Bose noise canceling headsets in Suite 3K, however, so I asked one of the crewmembers, who brought me a pair. I’d been meaning to watch “The Dallas Buyers’ Club” at some point, given that Matthew McConaughey won Best Actor at the Academy Awards for his role, so I chose that and watched during my meal. 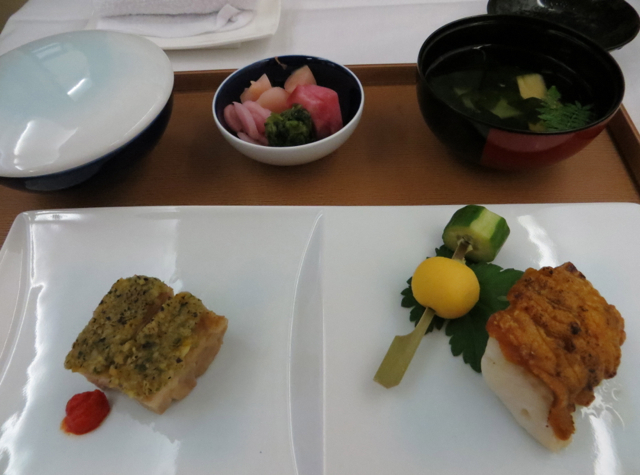 The “main” third course was good although suffered a bit from advance preparation: fried chicken and fish, along with rice and miso soup. The kaiseki meal concluded with dessert, which I didn’t care for at all. 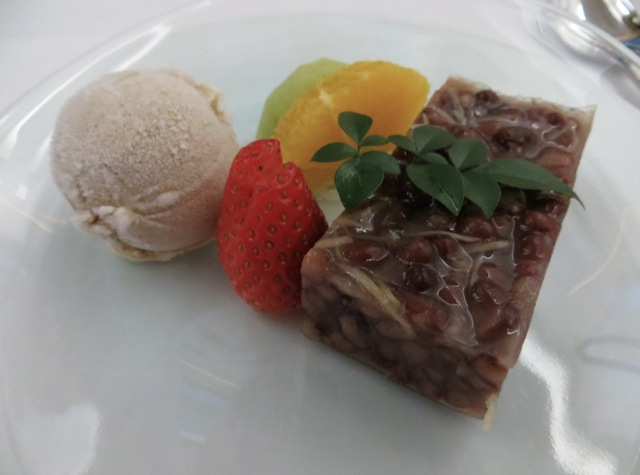 While I enjoy almost all Japanese savory courses (with the notable exception of natto) I’ve never liked Japanese traditional desserts much, especially those that are gelatin-based or adzuki sweet bean based and this was both. I had just a taste and left most of the dessert intact. I wouldn’t have minded trying one of the desserts on the menu, but as no one asked if I might prefer something else, even though I’d left the kaiseki dessert basically untouched, I decided I really didn’t need another dessert and didn’t ask for one. There was still some time left in the flight after watching The Dallas Buyers’ Club, so I started another movie that couldn’t have been more different, The Book Thief, about a young girl’s coming of age during World War II, as she grapples with a risky love of reading in Nazi Germany and her adoptive parents hide the son of a Jewish father they owe their lives to. 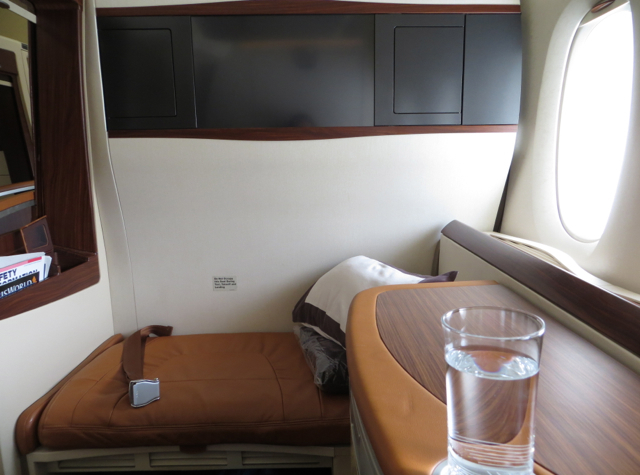 Verdict: This Singapore Suites flight was my least memorable, which is hardly surprising since I’d just had two longer Singapore Suites flights, including a great flight from Frankfurt to Singapore with especially friendly and attentive service and an excellent night’s sleep. 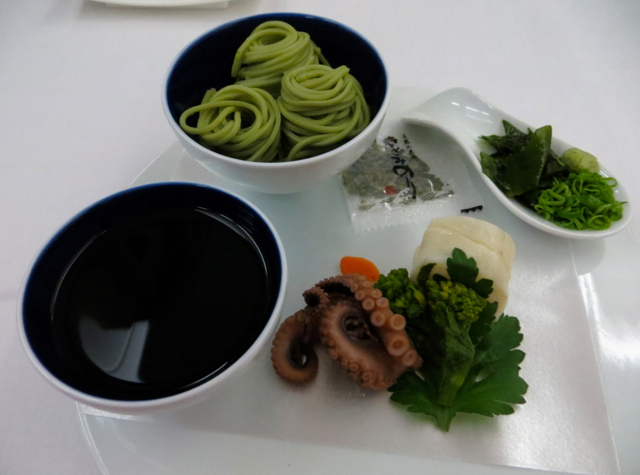 The hard product of course was just as good, and service was still friendly, although not particularly proactive, for example I had to ask for headsets, and no one noticed that I hardly touched my dessert or offered anything else such as tea, fruit or chocolates at the end of the meal. 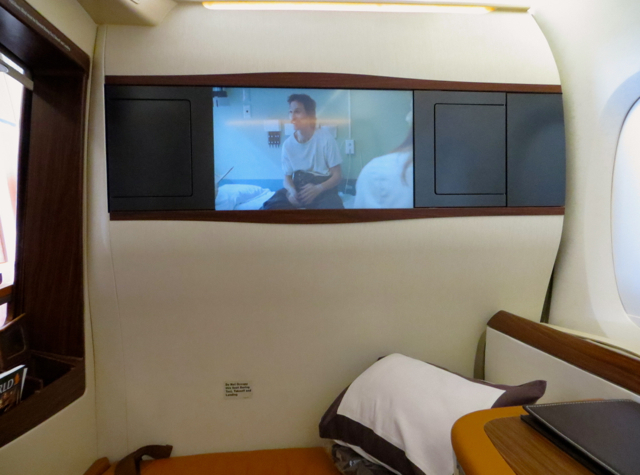 If you've flown Singapore Suites between Singapore and Hong Kong, what was your experience?